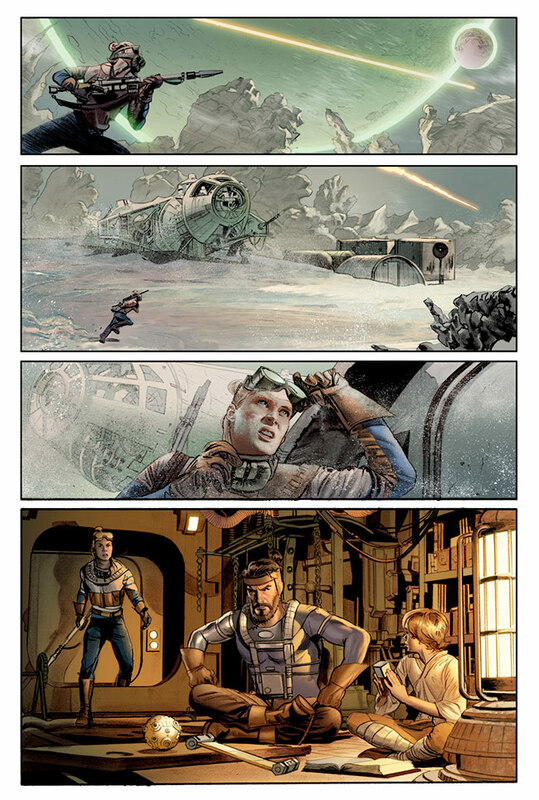 George Lucas's original-draft screenplay for The Star Wars to be adapted by J. W. Rinzler and Mike Mayhew! APRIL 2013, MILWAUKIE, OR - It's no April Fools' prank! Dark Horse is honored to announce a dream project: working with J.W. Rinzler, executive editor at LucasBooks, and artist Mike Mayhew (Avengers) to adapt the rough-draft original screenplay which spawned the biggest franchise in film history! Three years before his 1977 film, George Lucas put down on paper his first story set in a galaxy far, far away - a tale of fantastic adventures, daring escapes, "lazer swords," romance, and monsters. A story of Jedi Annikin Starkiller and General Luke Skywalker, an alien named Han Solo, and evil Sith Knights. The screenplay was titled The Star Wars! SAN FRANCISCO, March 27, 2013 -- On the heels of last year's monumental, first-of-its-kind event, Course of the Force, the lightsaber run that captivated the attention of Star Wars™ fans around the world, is returning July 9th – 16th, 2013. Kicking off at the famed Skywalker Ranch, participants will continue the relay run down through San Francisco with several stops along the California coastline before reaching the finish line - arriving just in time for the start of the 2013 San Diego Comic-Con® International convention. Nerdist Industries' founder Chris Hardwick will be back to host the event, with city-stops along the way featuring "Conivals" where fans can celebrate their love of the Saga with live entertainment, expo booths, giveaways and much more. "Star Wars Is Being Kick-Started with Dynamite"
January 25, 2013 - After a bevy of emails and phone calls, the formalities have been wrapped up, and at long last everyone can exhale and properly share the word with an excited Internet. Yes, J.J. Abrams will direct Star Wars: Episode VII, the first of a new series of Star Wars films to come from Lucasfilm under the leadership of Kathleen Kennedy. Abrams will be directing and Academy Award-winning writer Michael Arndt will write the screenplay.